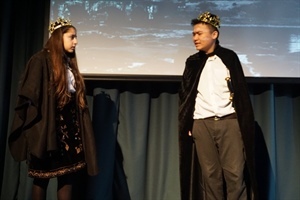 The Hurlingham Academy students performed Macbeth to a spell-bound audience over two nights, Thursday and Friday 28 February and 1st March. Year 7 students arrived at Hammersmith Academy on Monday afternoon confident of achieving something special. 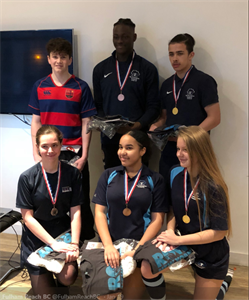 On Saturday the Hurlingham Academy students and Fulham Reach Boat Club performed exceptionally well in an online competition against Row New York. Row New York managed to take the win in the girls category and Fulham Reach won the boys event. 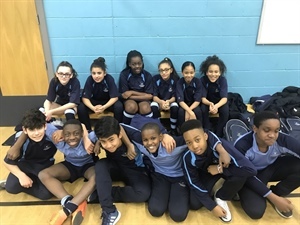 The Hurlingham Academy school and students were fortunate to play a role in a powerful, two part episode of the BBC thriller Silent Witness, which aired 14th and 15th of January 2019. Welcome back from what I hope was an enjoyable and restful half term break. Yesterday's celebration of Saint Valentine got me think-ing about love. When we think of love, we may think of something we hold dear: our favourite meal, a fantastic book or a place that matters to us. I have always enjoyed this aphorism by Maya Angelou: "You can’t use up creativity. The more you use, the more you have." Each evening, Mrs Wilson and I sit down to watch the news and I cannot help but notice the stories of intoler-ance that dominate the headlines. This week has been all about target setting for our pupils.